"NFV Opportunity Rapid Service Delivery"
The main objective of a Network Functions Virtualization (NFV) Proof of Concept (PoC) is to achieve industrial awareness and confidence in NFV’s ability to become a workable and trusted technology. NFV PoC gives telecoms, mobile, and carrier operators the ability to achieve a level architectural, capital, overhead, and vendor-sourcing agility that is not possible with more traditional approaches that are based on dedicated carrier grade network appliances. What are the steps for achieving NFV's potential in order to foster rapid proof of concept (PoC) to launch processes? 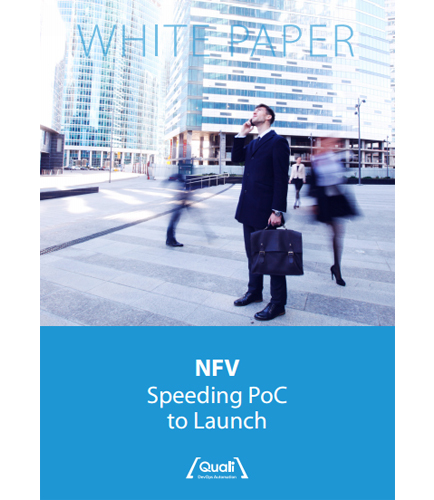 How can the telecoms build a fast PoC to launch process for NFV? How can NFV PoC framework help to streamline multi-vendor POCs that touch on key areas of NFV? Carriers have a great opportunity with NFV to build much more agile, innovative and cost-effective ways of bringing new services to market, tapping into a software-driven, appified world of Virtual Network Functions.